Temecula Winery Spotlight: Get to Know… Bel Vino Winery! Temecula Valley wine fans should be familiar with Bel Vino Winery, which sits high atop Rancho California Road. New in name, this mid-size winery was formally Stuart Cellars! Bel Vino offers a full line of quality varietals and vintages, including their exclusive Stuart Cellars premium label, popular with the Southern California wine enthusiast. This charming winery lives on a picturesque hill overlooking the valley; it offers a delightful venue for an intimate wine country wedding and boasts an expansive lawn, which plays host to a variety of summer events and concerts. Other suggested wines to taste include Chardonnay, Cabernet Sauvignon, Merlot, and Sauvignon Blanc. View Bel Vino’s full wine list here. For maximum flavor, aroma and texture, all Bel Vino red wines are unfiltered. The winery is proud to use French and American oak barrels for the best wood influences in aging. Bel Vino’s annual Barbecue event starts at twilight and finishes under the stars at the Winery’s outdoor concert venue. International award winning Chef Jorge Alvarado will directly oversee the preparation of this lavish barbecue and wine feast. Barbecue preparation starts with the best cuts of beef, pork and chicken. Each type of meat gets its own exotic and flavorful marinade treatment and then is wrapped in either agave or banana leaves. All meats are smoked 12 hours over barrel and grape wood and served with roasted pistachio, habañera salsa and escabeche onions. The meal is generously complemented with a fresh vegetable & fruit station, a grilled vegetable station, a dessert station and two glasses of premium Bel Vino wines, with your choice of red or white. As night falls, take to the dance floor with the sounds of “Shoot for Tuezday” covering the best in rock n’ roll from the 1960s through today. Advance reservation are required. Please call 951.676.6414, email info@belvinowinery.com or see a Bel Vino Winery representative. Sample straight from the barrels at the only futures tasting event in the Temecula Valley. Each featured barrel is joined with a special food pairing to enhance the food and wine relationship. Enjoy remarkable discounts on your favorite wines, ready 6 to 12 months after the event. Advance reservations required. Celebrate cooler temperatures and fine wines paired with decadent seafood at Bel Vino’s annual Harvest Clam Bake. 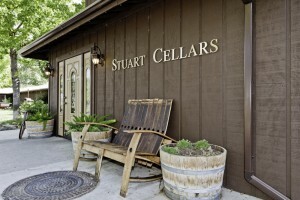 During this signature event, all guests will be offered special pricing on select Stuart Cellars varietals. Advance reservations required. Every Saturday & Sunday from Noon to 5 p.m. Just $12.95 plus wine tasting, no reservations required. Open seven days per week, 10am – 5pm. Posted in Association News, Get To Know.. | Comments Off on Temecula Winery Spotlight: Get to Know… Bel Vino Winery! It’s February- the month of love- and there are endless ways to share a romantic experience with the your sweetheart in Temecula Valley Wine Country. From a festive hoe-down to a relaxing massage; dancing to romantic dinners, there’s something for everyone! “A Month of Love” overnight stay packages. Chocolate-covered strawberries, champagne, hot-air balloon rides, spa treatments and roses, oh my! There are so many to choose from, you’re bound to find the perfect package for two of you, and the best part is, these specials are available all month from February 1- 29th! 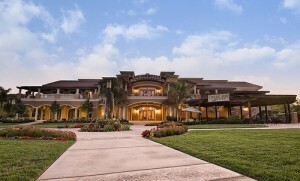 For a complete list and pricing, visit www.wineresort.com/resort-events/resort-specials. online at SouthCoastWinery.com Call the Vineyard Rose Restaurant at (866) 994-6379 ext. 2 for pricing, menu and to make a reservation. 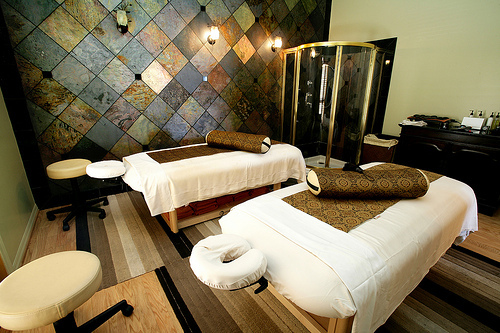 Grab your loved ones and friends and create a world of tranquility and relaxation with the Decadence Massage Package at the GrapeSeed Spa at South Coast Winery. The Decadence Massage Package includes a 50-minute massage in one of our custom single or couples treatment rooms, followed by a complimentary glass of our award winning sparkling wine and chocolate covered strawberries, served on our veranda overlooking Mount Palomar. The Decadence Massage Package also includes a spa day pass so one can enjoy all the GrapeSeed Spa has to offer, like a heated outdoor saltwater pool, alfresco whirlpools, private steam rooms, saunas and state-of-the-art fitness center.. Call the GrapeSeedSpa at (866) 994-6379 ext. 7280 to make a reservation. Valid February 1st – February 29th. *Black out dates apply. Bel Vino Superbowl Sunday: Watch the New York Giants battle the New England Patriots on five 60 inch throughout the winery! Nosh on fantastic game-day menu items such as Grilled Steakhouse Sliders, Mini Taquitos, Roasted Potatoes, Buffalo Wings and a Chips & Salsa Bar. $14.95/person (beverages not included in price). Must be 21 years or older.Please call 951-676-6414 to purchase tickets. On Saturday, February 11, enjoy an intimate, candlelit 4 course dinner in the Barrel Room. Live piano music and a bottle of champagne is included. Two seatings: 5:30pm and 8:00pm. Regular $140.00; Wine Club $126.00. If you’d like to celebrate on Valentine’s Day, visit Wilson Creek February 14th for a a romantic 4 course dinner and an evening of dancing in the Ballroom. Reservations start at 7:00pm. Price is per couple and includes a bottle of champagne.Regular $140.00; Wine Club $126.00. For reservations, please call 951.699.9463.
and dine while listening to live music. Reservations are required. Reserve online at www.callawaywinery.com or call 951.676.4001. Enjoy a romantic dinner this Valentine’s at Meritage at Callaway. On Saturday, February 11th and Wednesday, February 14th, Chef Mike Henry will offer guests a special Valentine’s Prix Fixe dinner menu with seating at 5:30pm and 7:30pm. A rose presentation greets every lady that will be joining us each evening. Once seated, an amuse bouche, or small bite, will be brought to the table paired with a glass of Callaway Special Selection 2008 Bella Blanc. A Prix Fixe menu selection then awaits you. Reservations are required and can be made by calling 951-587-8889 or online at www.callawaywinery.com under Meritage at Callaway’s page. Vegetarian selections available. Bring your Valentine to Temecula’s first winery to celebrate your love and enjoy this Wine Lover’s Tasting for Two. Hosted in the tasting room at Callaway Vineyard & Winery the celebration begins as each couple is greeted with a single red rose and samples of our Bella Rose sparkling wine. Next, you choose to taste two additional passionate pink rosesor two romantic red wines from our Wine Lover’s Tasting Menu. The grand finale: our zin-fully delicious ruby Port served with a pair of decadent chocolate dipped strawberries. Two souvenir tasting glasses are included to commemorate this special occasion. Join Falkner Winery for a romantic Valentine’s Dinner in their award-winning restaurant in Temecula. Enjoy a wonderful four course dinner with individual wine pairings and entertainment.Reservations are required. Book online at www.falknerwinery.com or call 951.676.8231 ext. Chef Michael, from the Ritz Carlton, is pulling out all the stops for this romantic steak dinner at Oak Mountain. For reservations, please call 951-699-9102. There is a lot that goes on behind the scenes of wine making. Take a closer look at the environmentally friendly and sustainable practices of the wineries in Temecula Valley Wine Country ! Stuart Cellars Winery practices natural and organic planting process by using a natural soil amendment, pumice instead of chemicals. This results in better plant growth and health for the grapes. To keep away unwanted pests from the delicious grapes, organic insecticides are used. 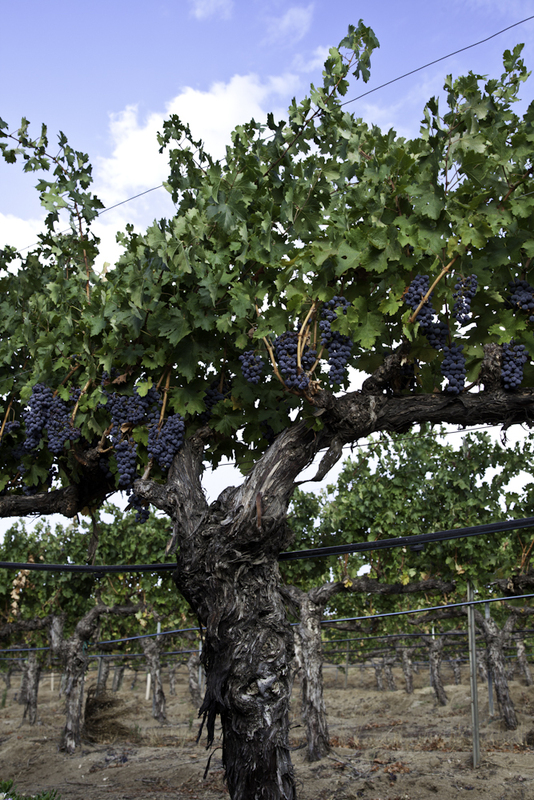 A centralized water irrigation system that goes directly to the base of the vines is used. This eliminates transpo-evaporation of the water by 33%! One of the onsite buildings is completely solar powered! Stuart Cellars winery also produces all of their own power via a natural gas generator, which is the cleanest burning fuel in the United States! Ponte Family Estate Winery has been one of the sustainable winery leaders in the Southern California Wine Country. Since the winery was built, Ponte Family Estate Winery has recycled glass, cardboard cases, office paper and more. Ponte has also made efforts to reduce waste and their use of water and electricity. A huge part of Ponte Family Estate Winery’s efforts is geared towards influencing guests, members and associates to reduce their individual footprint so that together, people can discover new ways to have a positive effect on our world today as well as for future generations. This award winning restaurant creates salads from local Farmer’s Markets. Poultry and meats come from sustainable farms such as Snake River and Shelton Farms and all seafood selections are on the Seafood Watch from the Monterey Bay Aquarium, ensuring that it is safe and sustainable. Kitchen waste is also composted and added to vineyard soil. Wilson Creek Winery & Vineyard is working with a company on recycling their kitchen oil by converting it all into bio-diesel fuel! *Keep an eye out for their documentary highlighting the process and how this kitchen grease is recycled into fuel for school buses. A new water treatment system that will collect their grey water (used water) and put it through a clarification process that will be then used for landscape (grass) irrigation is currently being installed. Compost/green waste is applied from time to time to increase the amount of organic material in their soils (mostly decomposed granite).This adds to the organic material on the top layers of the soil which in turn helps to increase the nutrients available in the vines. Wilson Creek Winery & Vineyards Creekside Restaurant utilizes organic local produce offering vegetarian and vegan friendly options. Eating locally reduces waste since fuel is not wasting in efforts to transport the food.